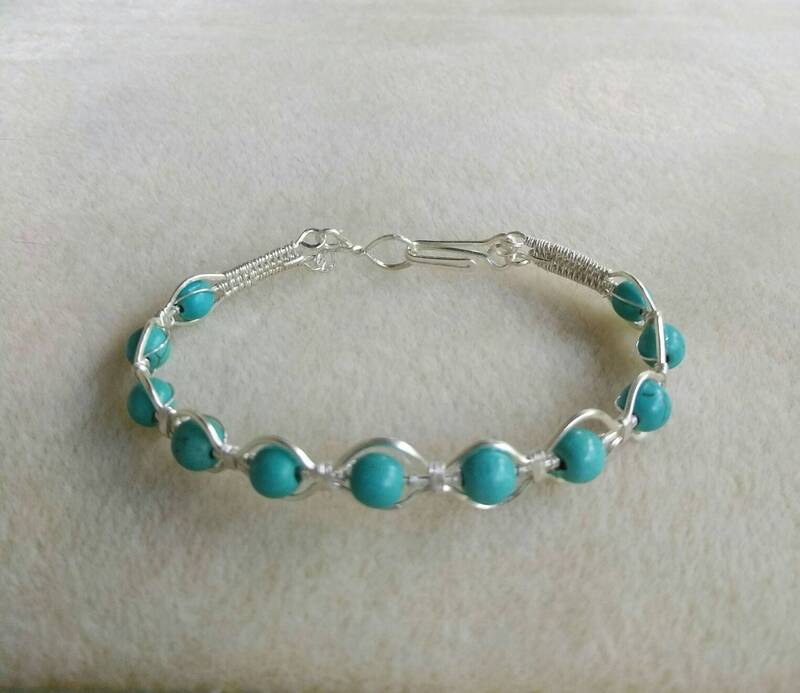 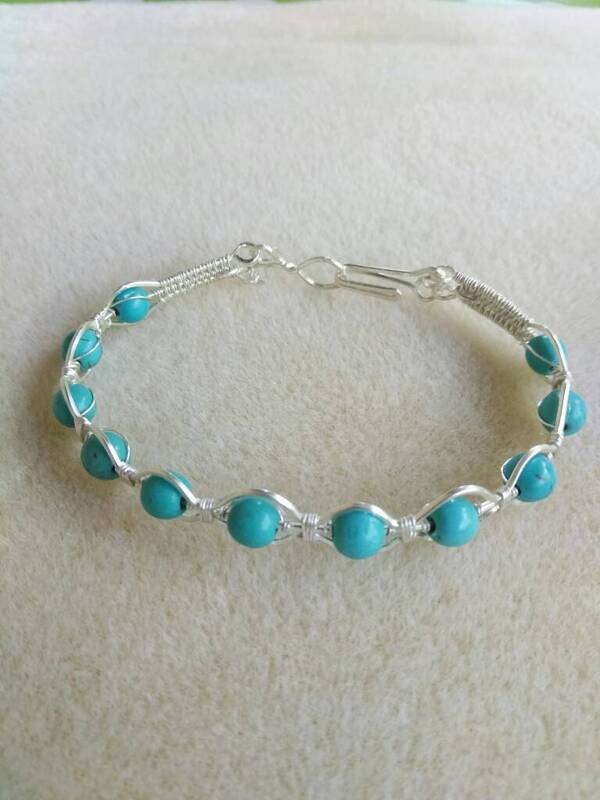 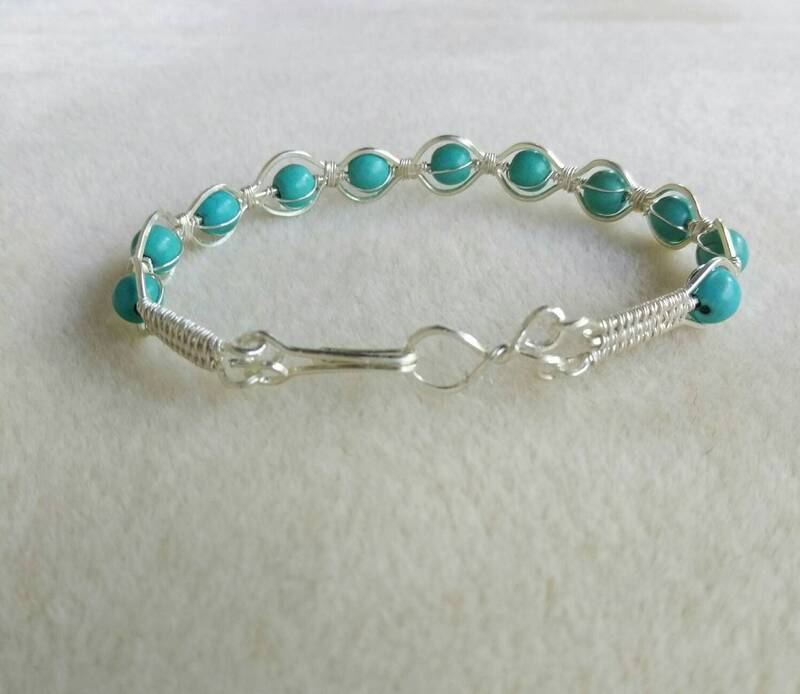 A simple but elegant wire wrapped bracelet. 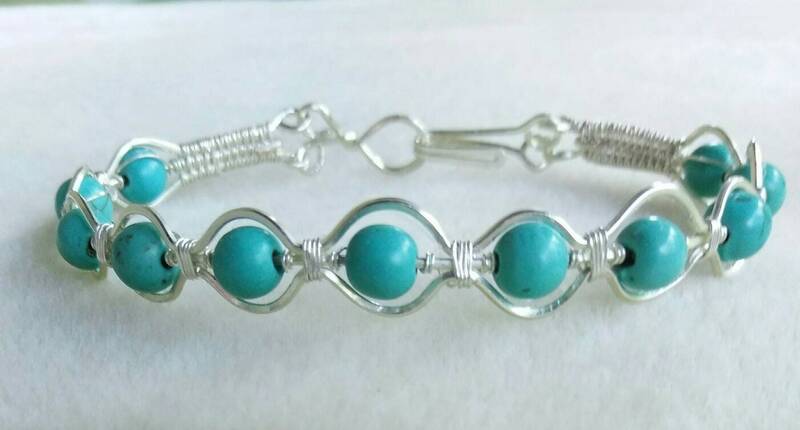 This bracelet is 7" (18cm) long and includes 6mm (1/4") magnesite stones. 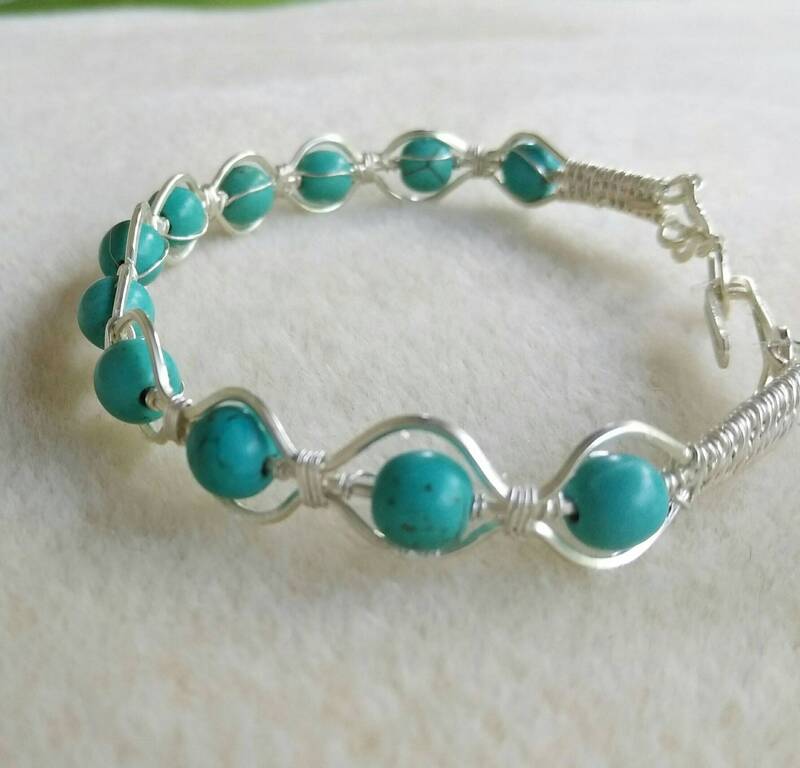 The wire used for wrapping and claso is silver filled.